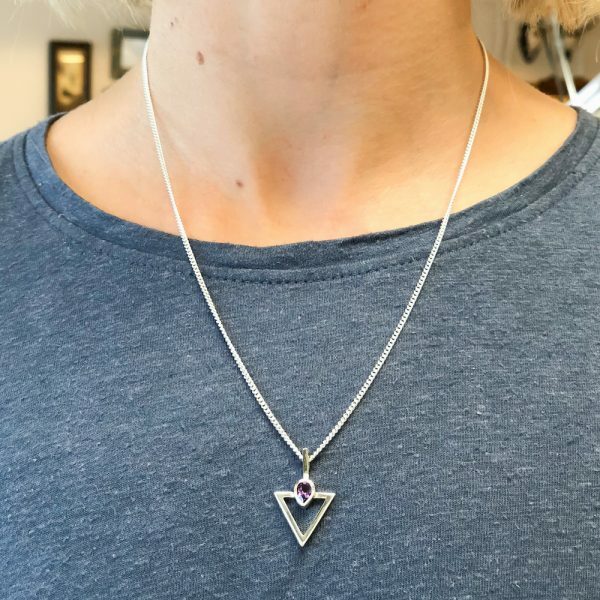 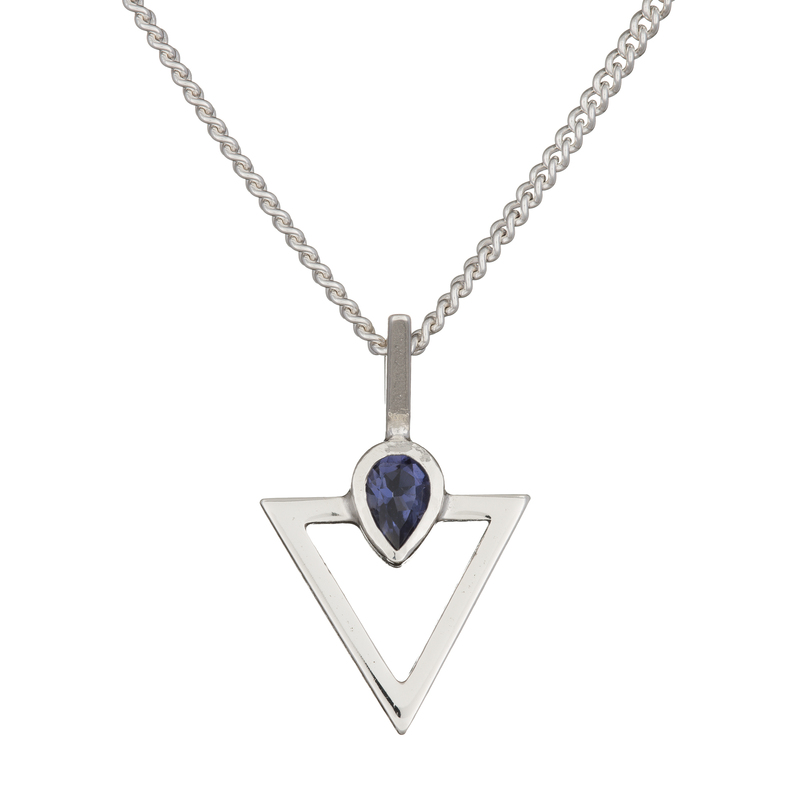 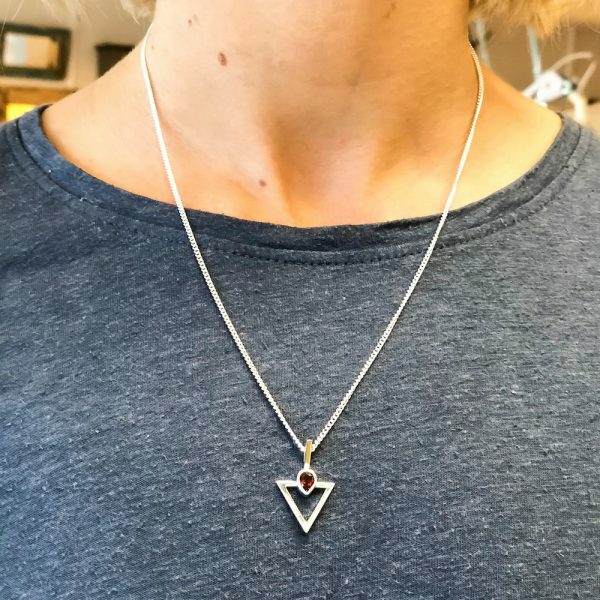 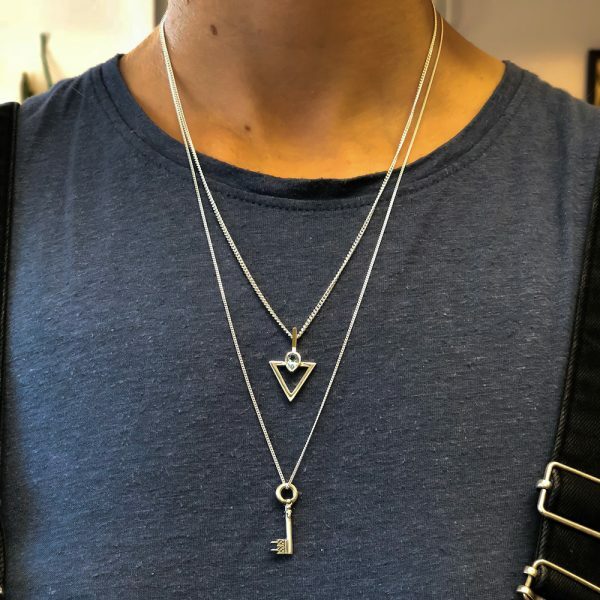 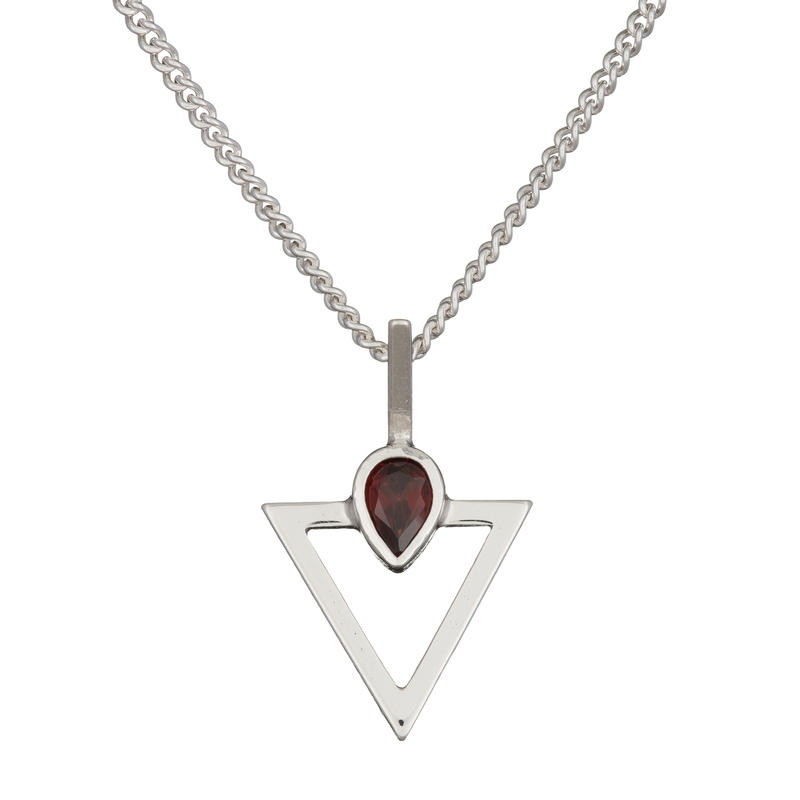 A modern geometric take on a spiritual theme… Trinity suits soul seekers and minimalists alike. 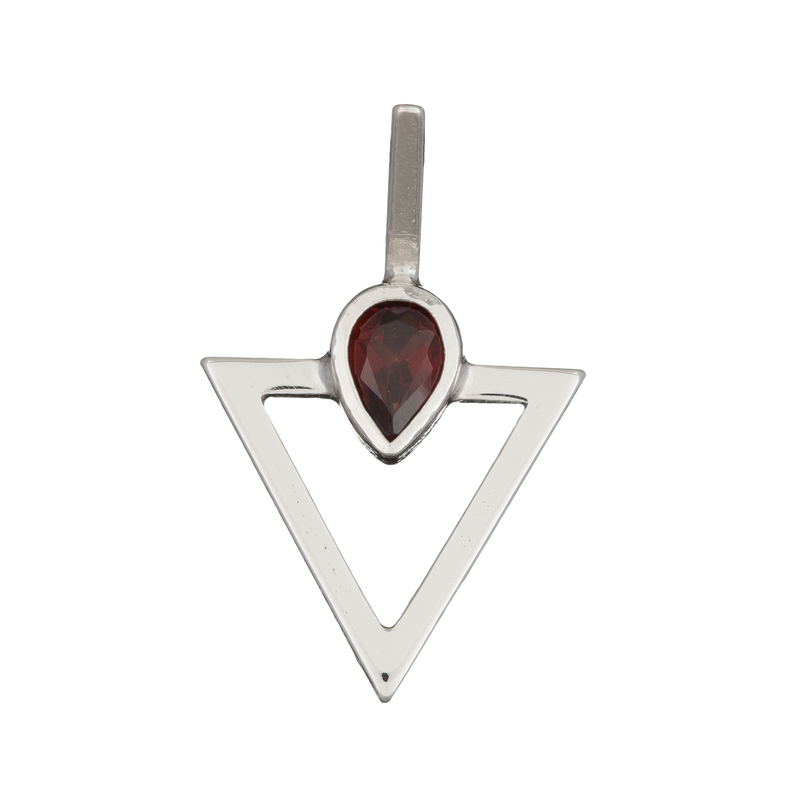 Red (Garnet) – Root Chakra – symbolises safety & survival. 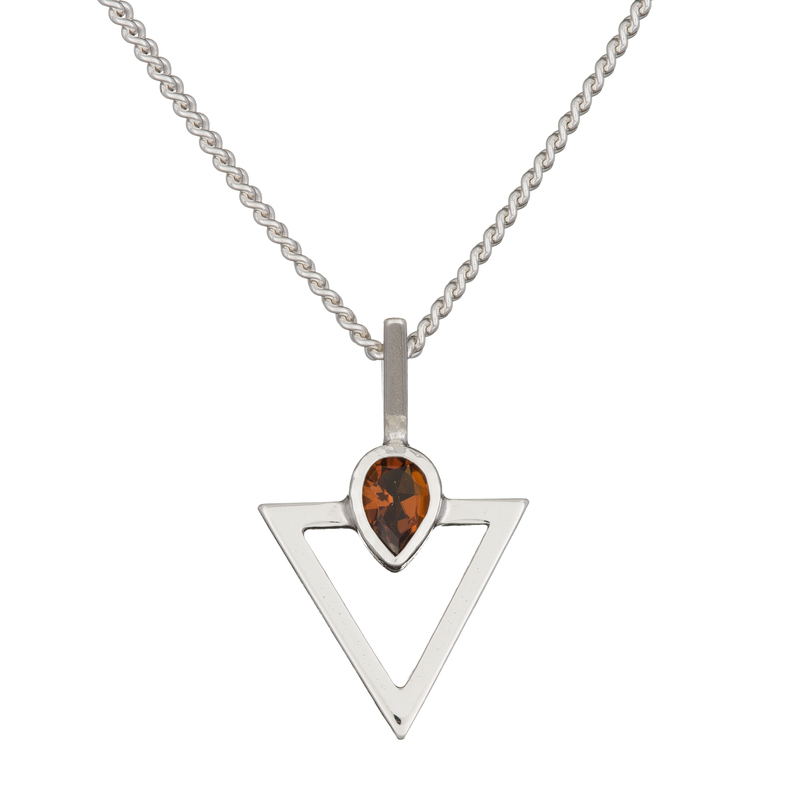 Orange (Citrine) – Sacral Chakra – symbolises creativity & sexuality. 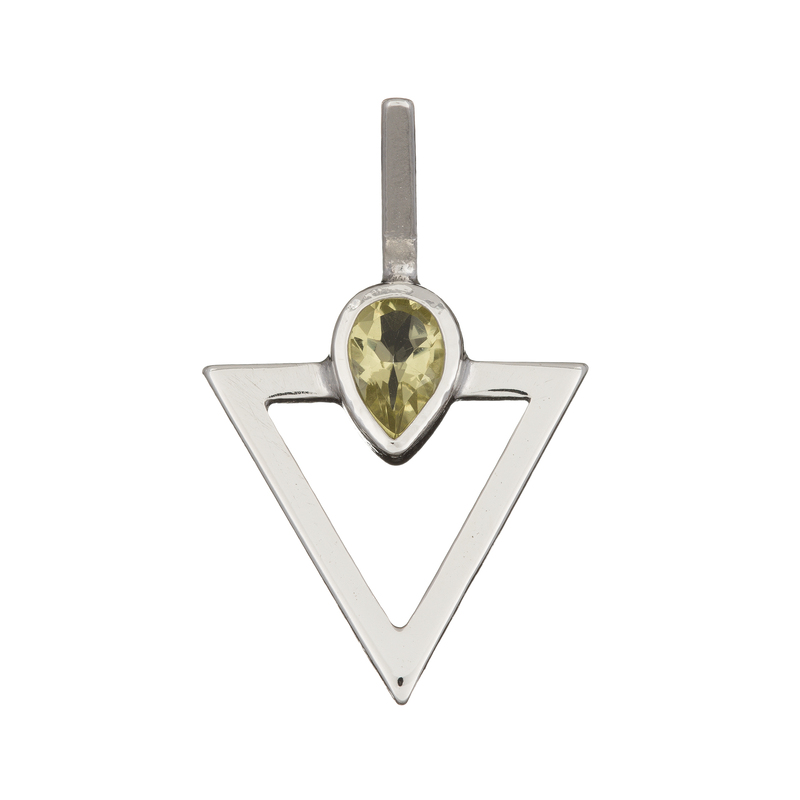 Yellow (Quartz) – Solar Plexus Chakra – symbolises intellect, personal power. 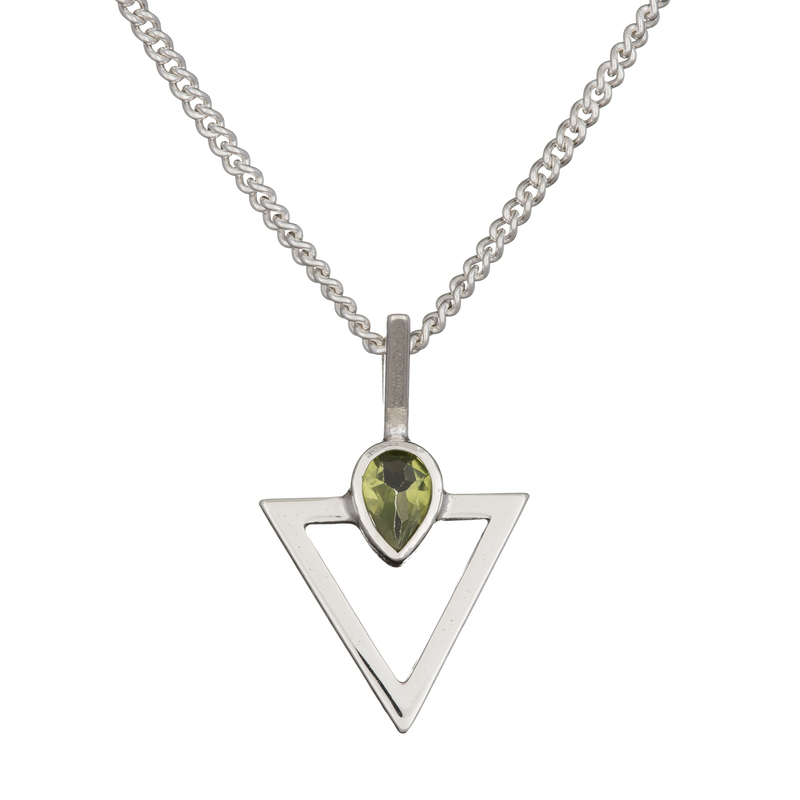 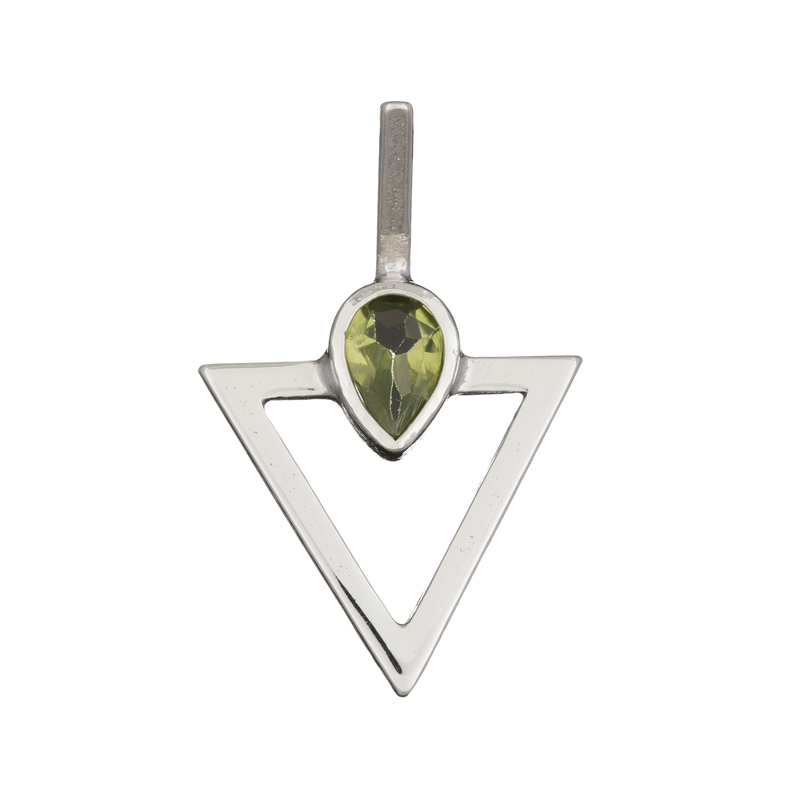 Green (Peridot) – Heart Chakra – symbolises love & compassion. 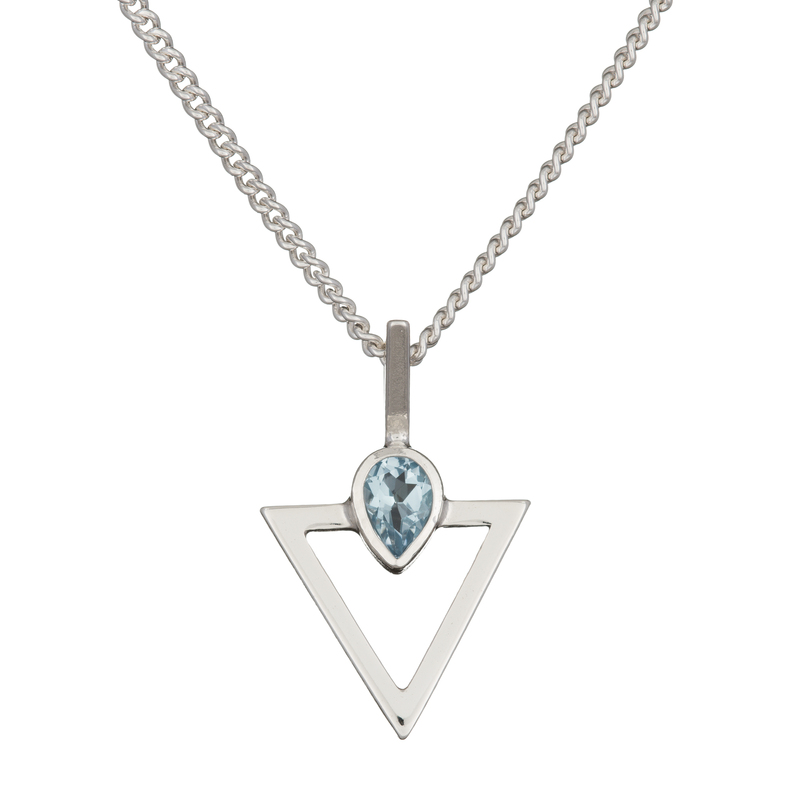 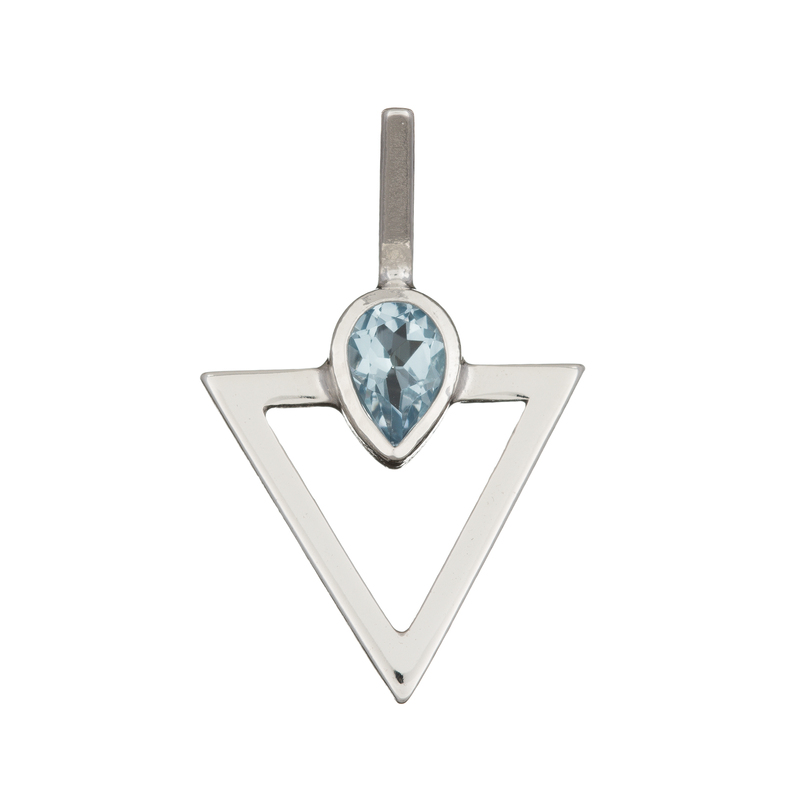 Blue (Topaz) – Throat Chakra – symbolises truth & expression. 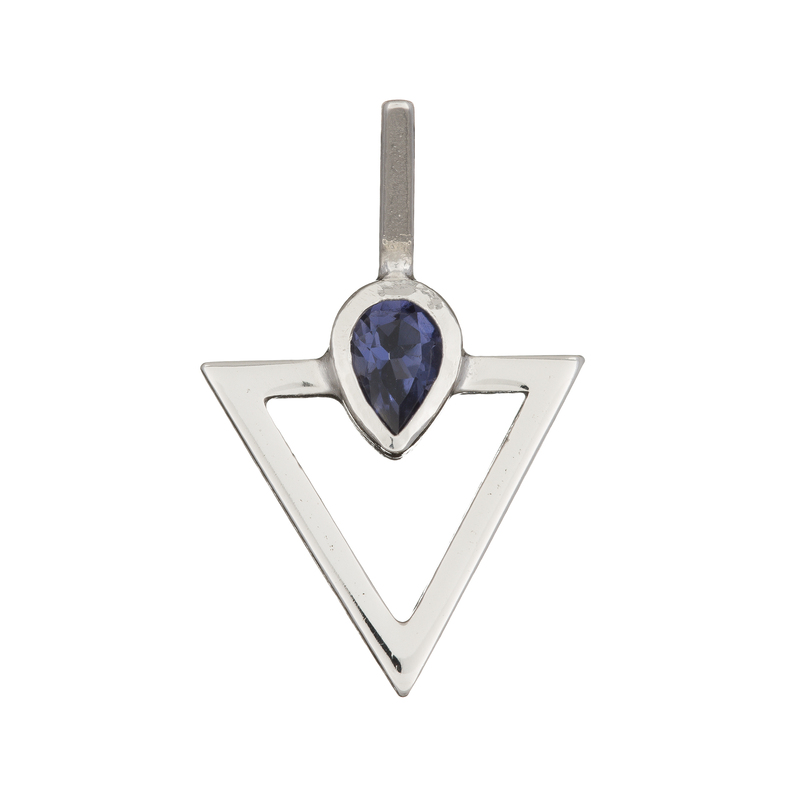 Indigo (Iolite) – Third Eye Chakra – symbolises intuition & inner wisdom. Purple (Amethyst) – Crown Chakra – symbolises universal connection. 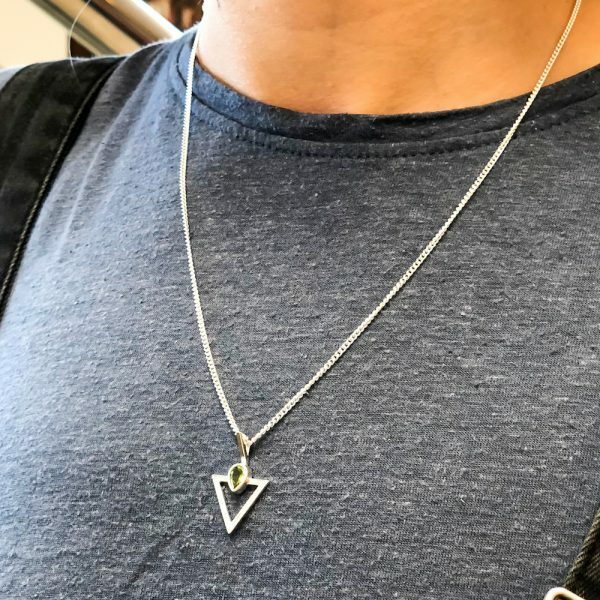 Hung from a 20″ sterling silver curb chain, currently cast in sterling silver. 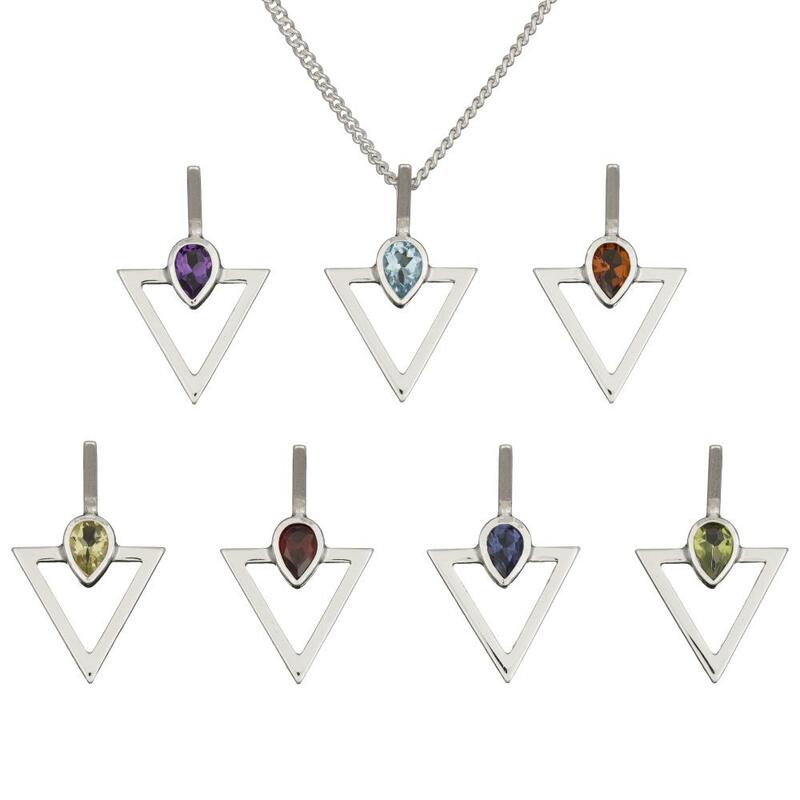 Please email for 9 carat yellow or rose gold.